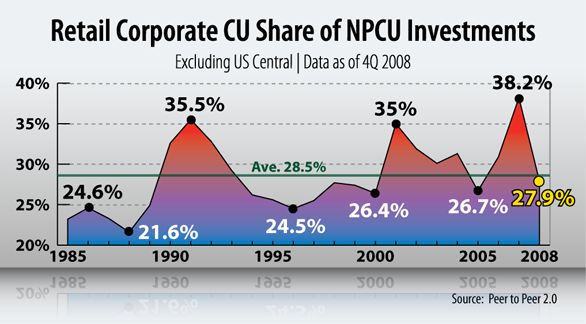 At the end of 2008, the corporate credit union system represented 27.9% of total credit union investments. This percentage is down from the 38.2% reported in 2007 as credit unions continue to diversify their investment portfolios, but the corporate network remains a significant investment vehicle for a majority of credit unions. Ready For Rising Interest Rates?